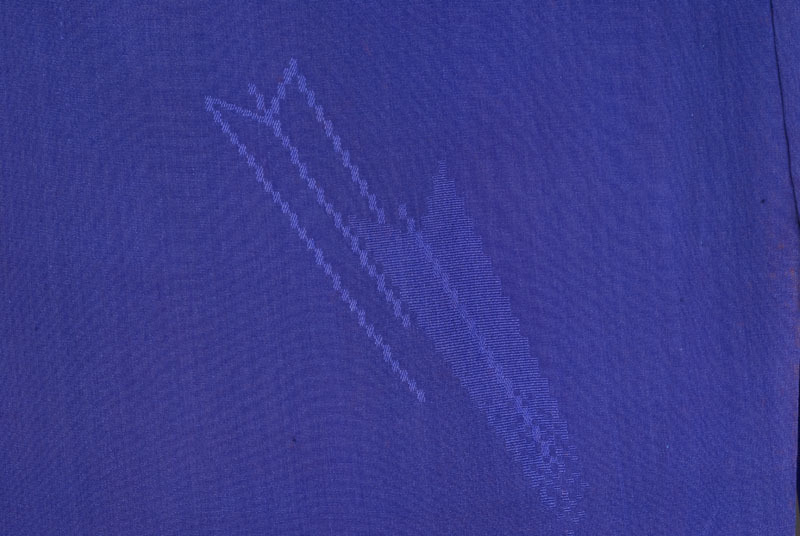 1 kimono : silk ; 55.5 x 23.5 (center back) in., sleeves 29 x 12.5 in., collar 2 in. 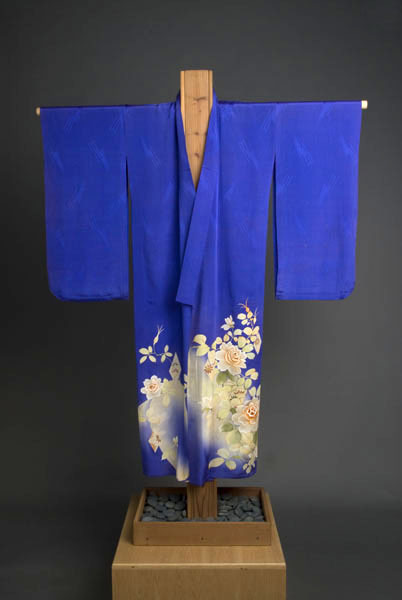 Blue lightweight silk homongi (visiting kimono) with tone on tone arrow pattern woven into background and yuzen moyo cream hued roses on bottom front panels. 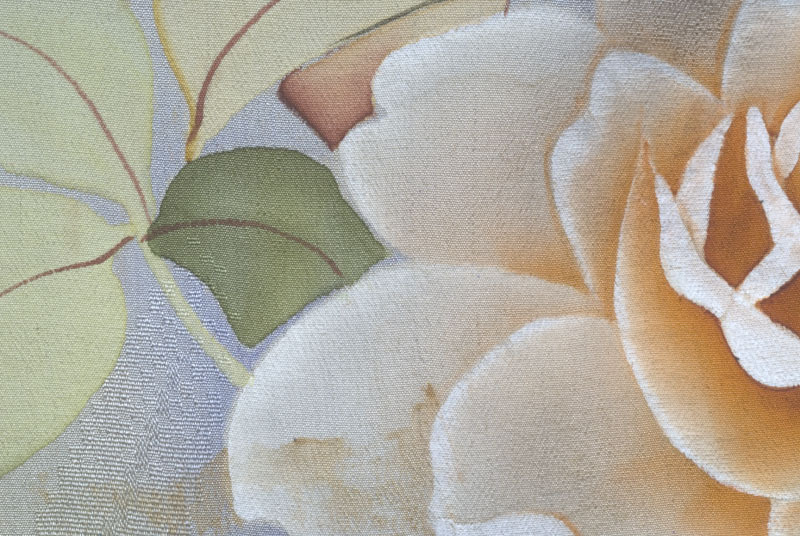 Design includes two large cream/orange roses on proper left front panel and one cream/orange rose on the proper right front panel over pale green and yellow leaves and diamond shaped boxes with daisy pattern. 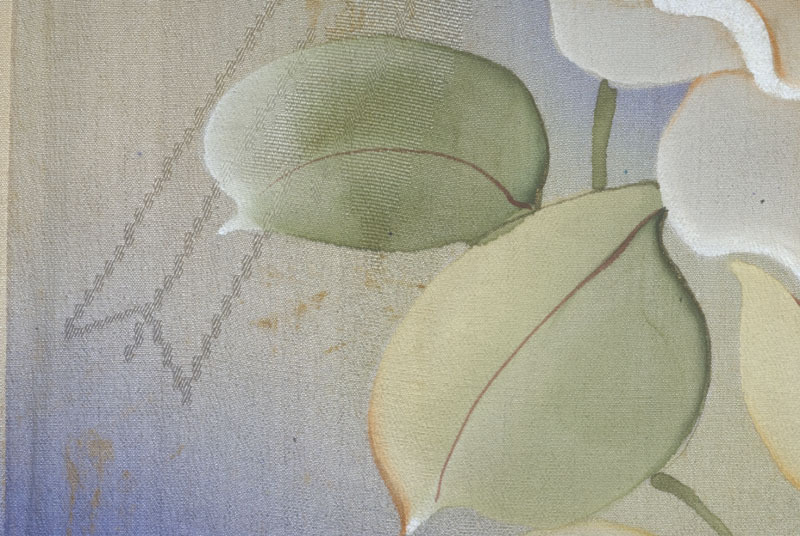 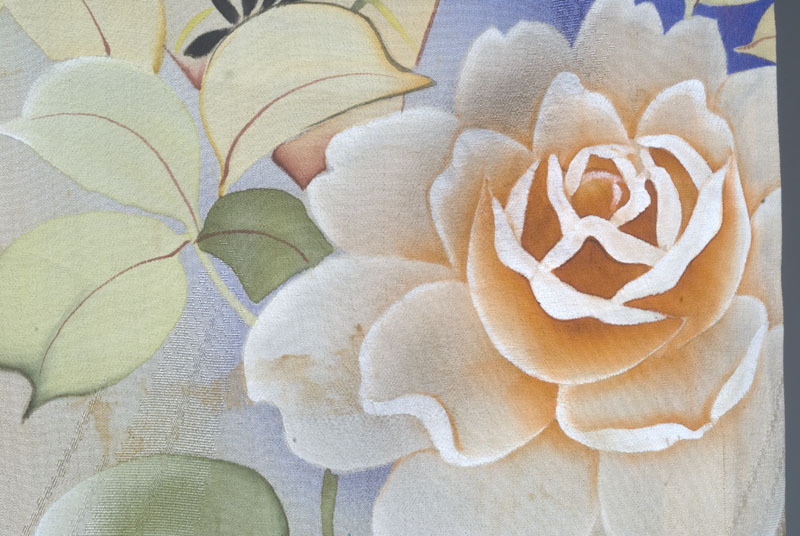 Leaves, rose buds and diamond design wraps around proper left side to back of kimono. 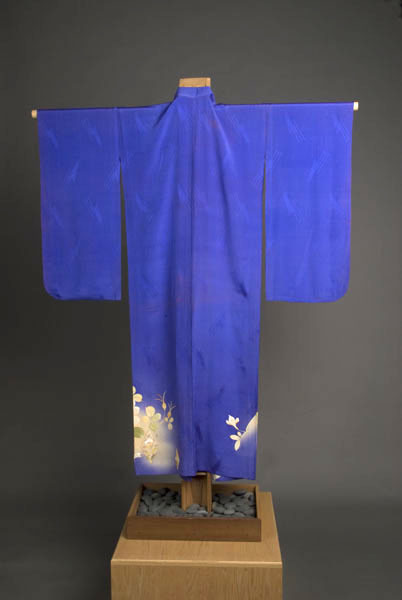 Mrs. Tazawa had this homongi (visiting kimono) made for her daughter, Elsie, out of a bolt of yuzen moyo design bolt of material that had been handwoven in Japan. 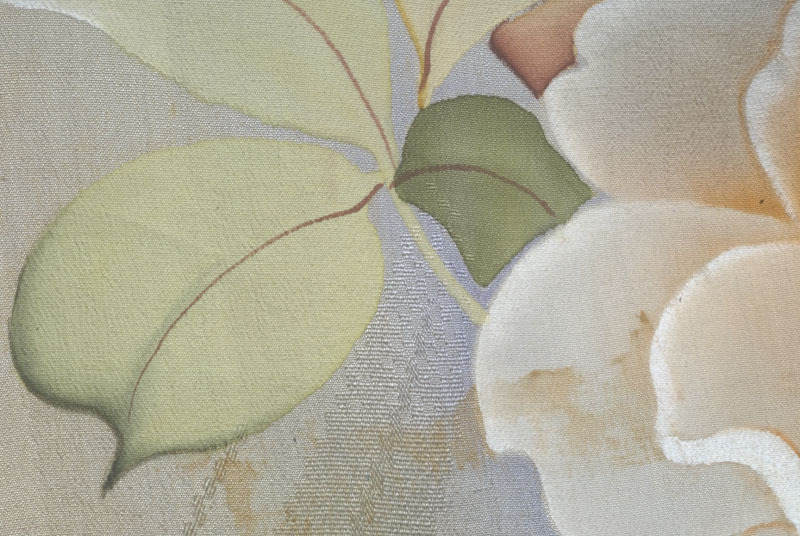 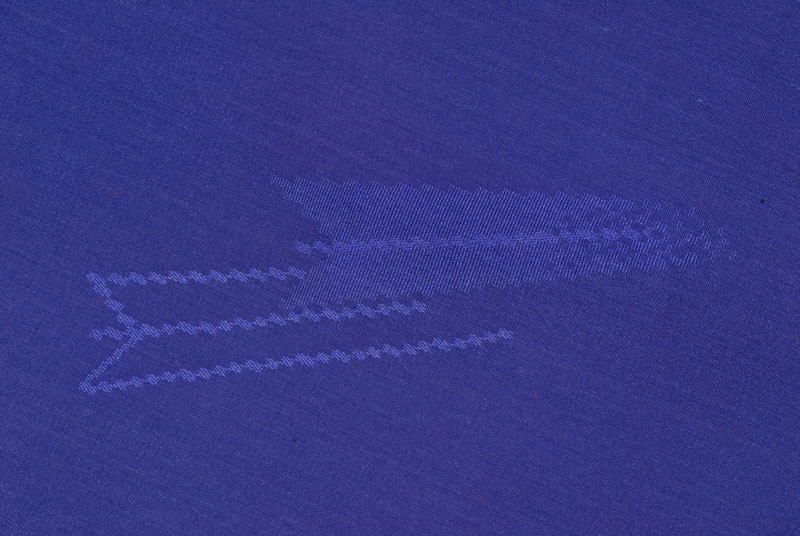 Yuzen-moyo denotes a type of design created where images are drawn on silk with rice-paste coating.